Don pushed his way into the world of advertising by stalking the well-connected Roger Sterling. This is interesting, since if anything their lasting relationship dynamic is as peers. They each know they bring something important to the table—Don, his talent, and Roger, his upper-crust network. Roger isn’t so much a mentor as a connector, although he does still sometimes school Don on the finer points of business relationship savvy. 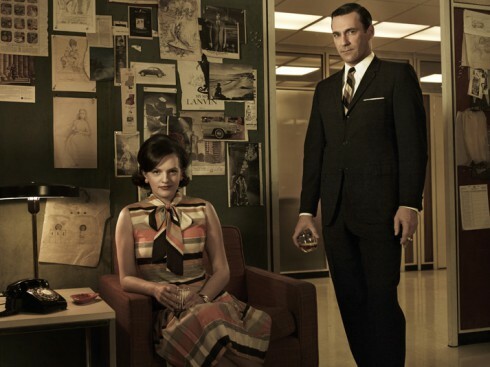 What’s your business takeaway so far from “Madmen”? Ritu Walia is a FG Analyst. This website is really interesting, but why it is on 19th place in google’s search results. Thanks Marcia! I definitely think all seven of your tips are great take-a-ways as well. I especially agree with the first one, more often than not you’re selling your brand as much as the product itself. I just took a look at your blog, and it’s great, “Always look your best, because if the meal fails, at least you’ll look good and they won’t notice.” Haha! Thank you again for sharing! You feeling something – that’s what sells. The reason you are successful is because you make it personal. Ask yourself: What would the experience be like if you passed this up? You’re lucky in life if there’s someone who can tell you what to do if you have a problem. There are as many types of people in the word as there are clients. Sometimes you get into them for the wrong reasons and eventually they hit you in the face. … and weaknesses, and be honest with yourself. There’s no one stronger than their opportunities. Allow yourself to loosen up in order for creative work to be done. On a personal note, I am truly a Mad Men fan and recently wrote a blog post earlier this month: How the Women of Mad Men Really Feel About Cooking. Check it out: http://www.cookingandthecareergirl.blogspot.com. P.S. thanks for the insight! !